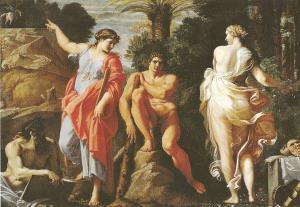 Here you can have a look on pictures of famous greek mythology paintings,which are kept in two museums in Italy, one in Venice and the other in Naples. 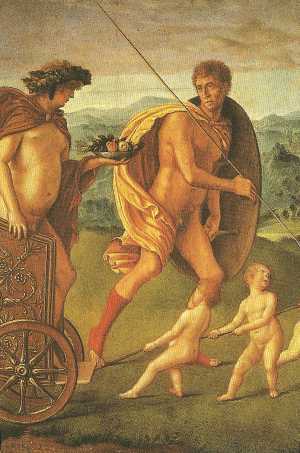 Theme:God Dionysus offers a plate of fruit to a young warrior,probably personifying Lust tempting a virtuous hero. Name:"Perseus cuts the head of Medusa"
Theme:Perseus prepares to cut the head of Medusa, while trying to look the other way. 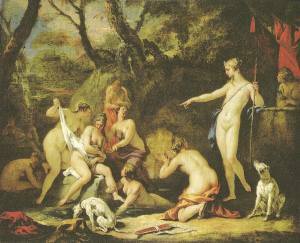 Theme:Goddess Artemis finds out that nymph Callisto is pregnant with god Zeus. 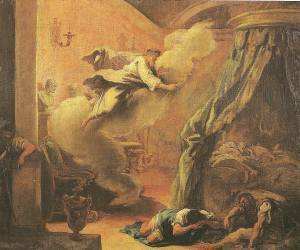 Theme:A sleeping man sees in his dream Asclepius who will heal him. 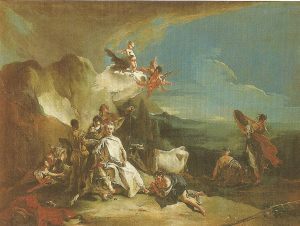 Theme:Zeus, disguised as a white bull, abducted Europe.The painting shows them resting near the seaside..
Theme:Danae and Eros watching the golden rain, disguise of Zeus. 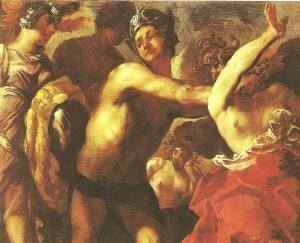 Theme:Hero Hercules faces dilemma whether to follow Vice or Virtue. 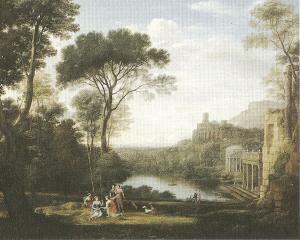 Theme:Nymphs playing near a lake. 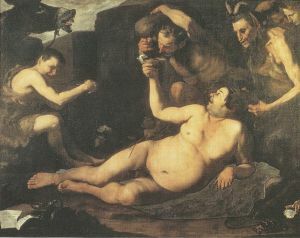 Theme:Seilenus getting drunk, while being watched by Pan. 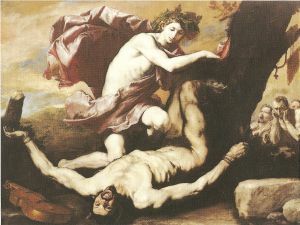 Theme:God Apollo punishes Marsyas after a music contest, by skinning him alive.